Josh Petersdorf is a voice actor originally from the San Francisco Bay Area but has been a native to Los Angeles for 7 years. With a background consisting of music production and improv work it was only natural his booming voice made it your living room. 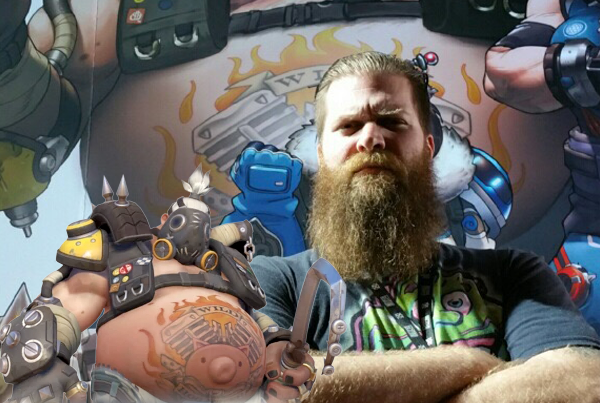 Josh is best known for his work as Roadhog in Overwatch, Jace Darkweaver, Maxwell Tyrosus and various others in World of Warcraft as well as various characters in Hearthstone and Starcraft II and most recently Galio in League of Legends! He also voices Optimus Prime and Megatron at Universal Studios Hollywood and is also featured in AMC’s Walking Dead Attraction. He has also performed as The Grinch in the annual Grinchmas event at Universal Studios Hollywood since 2012. Other projects he’s been featured in include the character Shade in Maple Story and Thorgrim in Breakaway. Not just limited to animation and improv work, Josh’s commercial resume of work includes Shock Top, The Clorox Company, The San Diego Zoo and Dockers.